Kangaderoo Custom QR Code. : Fun: 2D Code Hybrid. You probably need to be a geek just like me to appreciate this. This 2D code is a hybrid between QR and Aztec. 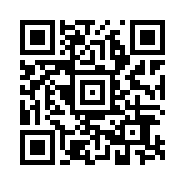 With a 2D code reader the whole picture will be read as a QR Code. When zoomed in so the QR markers are not recognized by the reader, a Aztec 2D code will be read.